God meant for marriage to be long lasting and enjoyable. He really meant us well with this timeless institution! 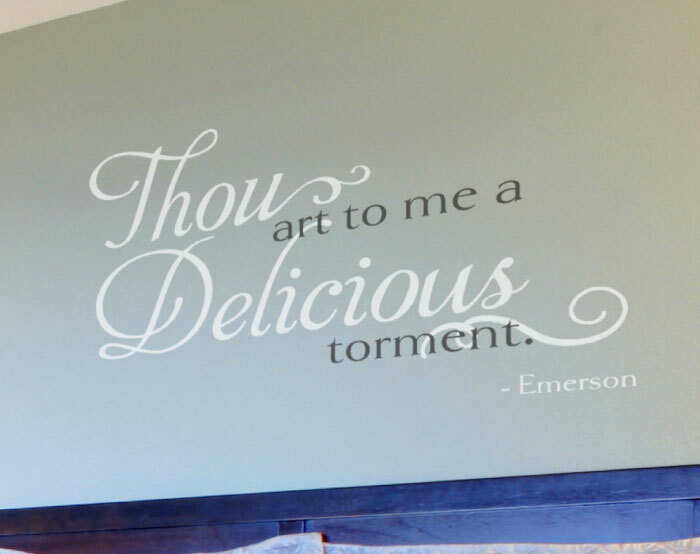 ‘Thou art to me a delicious torment. – Emerson’ wall letters are suitable for the bedroom. They are available from WiseDecor as wall décor that is unique and great to look at! As shown in this photo, they look amazing on the wall above the bed. Applying them between sconces is a great idea. The soft light creates an interesting visual display on the wall. The wall letters are the focal point in this room! What a lovely way to decorate your bedroom! Are you looking for unique wall decor for your bedroom? Try WiseDecor products! Not only are they heat and cold resistant, they are also good to look at! They do have that painted on effect because they do not leave any marks around them on application. 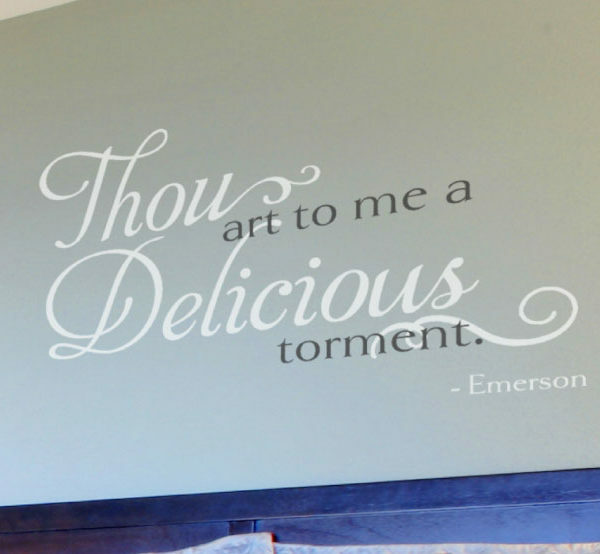 For well-lit rooms as this one, we recommend matte wall quotes. This will enable you to see and read them without glare issues! Have a look at our website: we have a lot to offer. Place your order and our designers will get right to work. You will end up with wall decals that you and your spouse will enjoy for years to come! They are also easy to apply. Simply peel the back sheet and paste! Do call or email. We would love to hear from you. Let us help you decorate your bedroom with amazing wall letters!